Every morning when I exercise Oscar he retrieves his ball with a fanatical obsession that borders on mania. Whilst this is an excellent way to tire him out and ensure a calmer day it didn’t take place this morning much to his disgust. Yesterday I noticed that he was favouring his right fore paw and took a closer look. I found a tiny grass seed embedded in between his toes and removed it (keeping everything crossed that that would be the end of it). 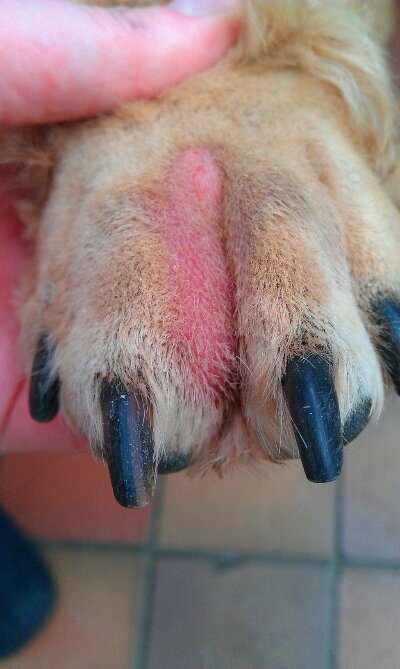 But it’s infected so he went to the vets. Now Oscar is an unusual dog in that he ADORES going to the vets and he tries to pull me in. However he wasn’t impressed at having his toes prodded. We left armed with anti-biotics and painkillers to attack the abcess. 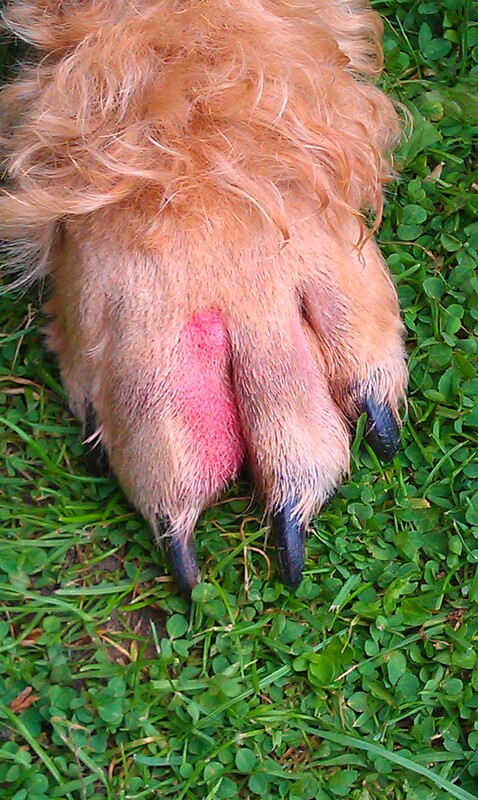 It looked worse after being examined by the vet who suspects that there might be another grass seed inside his foot. 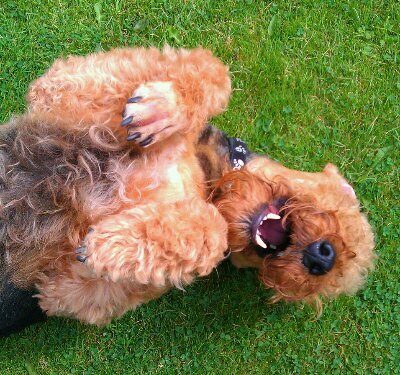 Which was fun but not as good as chasing a ball! *if you have a dog, cat, rabbit or other small animal, please check them regulary for grass seeds. They can enter the body in the ears, feet or eyes via the tear duct and get into the blood stream. Years ago I heard of a pet rabbit that had to be put down after a grass seed got into its’ brain via the tear duct. We have a maybe 4 inch ball and a ring that are good or sold for indoor ball chasing. They come with a thrower and Cooper really enjoys them and he does not eat them. I keep them up unless we are playing. Just one idea. I got ours at the pet store but Amazon also carries them.